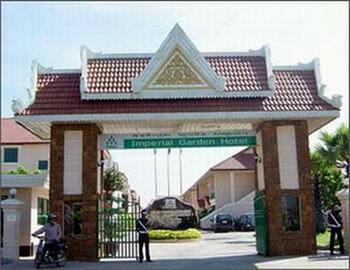 Imperial Garden Villa & Hotel is conveniently poised close to all the activity of Phnom Penh’s fashionable downtown area at the south end of the riverfront areas where Cambodia’s three major rivers converge. 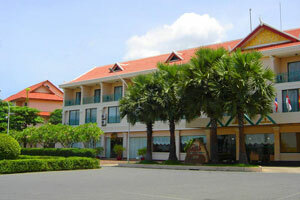 Yet, it is a refuge from all the hustle and bustle due to its well constructed rooms and situation on the property. It is right across the street from a nice park. You are unlikely to hear city noise from inside the rooms, the pool, or other common areas and the staff here are most helpful and pleasant and rarely without smiles on their faces as they attend to your needs and the running of the hotel.In addition to their rooms, the hotel offers44 two-bedroom bungalow villas with the same full service and amenities as in the rooms. 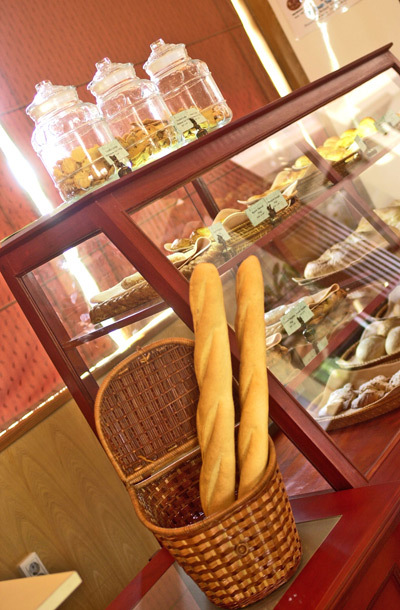 It should be noted that the hotel section is walk-up only with no elevators so if this is an issue for you or someone in your group a villa would be the preferred option.The furnishings are a tad dated in style but the property is clean and maintained well. 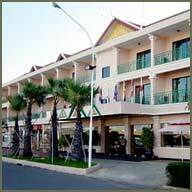 While the rooms in general tend to be large there are a few smaller units so if this is important to you just advise us or the receptionist when checking in.The restaurant is popular for its Korean menu as they cater to this market segment on a regular basis and the pool is a favorite meeting place for guests. Nightlife and shopping are easily accessible but not imposed on the property. Most of the activity in the immediate vicinity of the hotel is daytime activity with people enjoying the park across the street and the nearby riverfront areas. The consensus is that this hotel delivers good value for money.